Since moving into our new two bedroom, my fella and I have been working to turn the second bedroom into a closet/dressing room/office/gym space. With my new shelving and clothing racks, my clothing and accessories have never been more organized! After years of organizing my closet strictly by color, I've finally made the switch to sorting first by item type and then color. 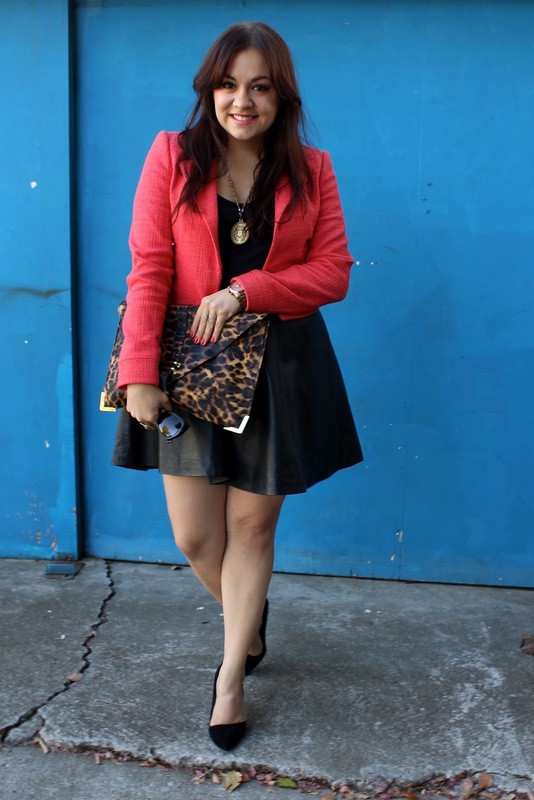 Because of this, I've realized that leather and coral are really having a moment in my closet. So why not pair them together? I pulled out my black leatherette skater skirt from last fall/winter and paired it with a couple of my recent black favorites. 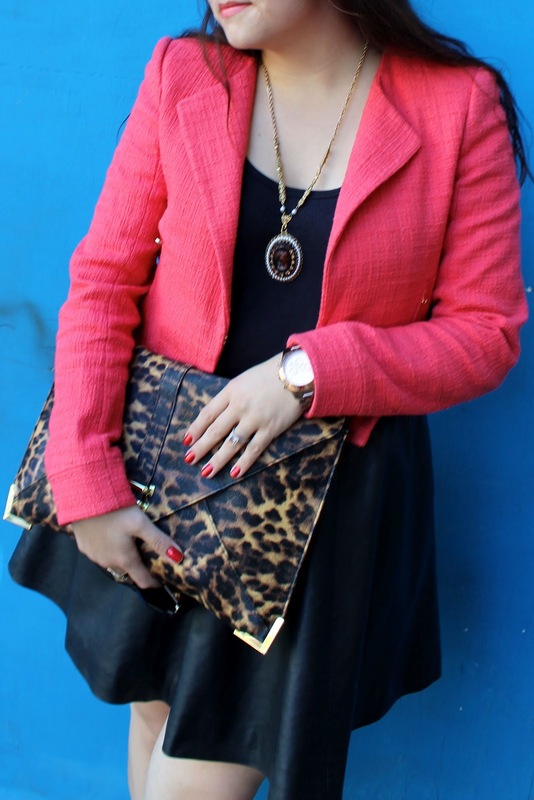 On top, I'm rocking a new coral tweed blazer that I scored brand new with tags for a fraction of the original price on Poshmark! Total score! I also pulled out one of the necklaces inherited from my grandmother when she passed away. I love how unique this cameo pendant is and the chain it's on is so cool! Great outfit, Adiel. I love the flare of the skirt. And (naturally) I love the cameo! Thank you, Dora! They're my new favorites and I wear them wayyyy too much because they go with literally everything. Yeah, I got lucky and inherited most of my grandmother's rad jewelry collection! She was such a stylish lady! 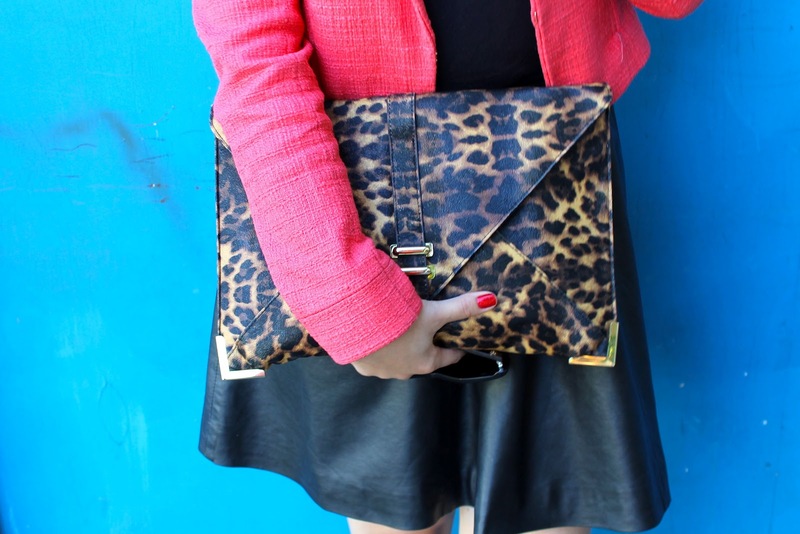 That skater skirt is perfect for this season, and I LOVE Ann Taylor, especially when it's a total score! Yesss! A year ago, I wouldn't have thought to shop at Ann Taylor, but I am absolutely loving it now!